Ireland has more going for it than Dublin of course, so it would be a shame to visit the country and spend the entire time in its capital. There's so much to Ireland that you could probably spend years just exploring its beauty. If you don't that luxury, be sure to place the Rock of Cashel high on your list of must-see sites while you're in the country. It's Ireland's most visited heritage site for a reason. 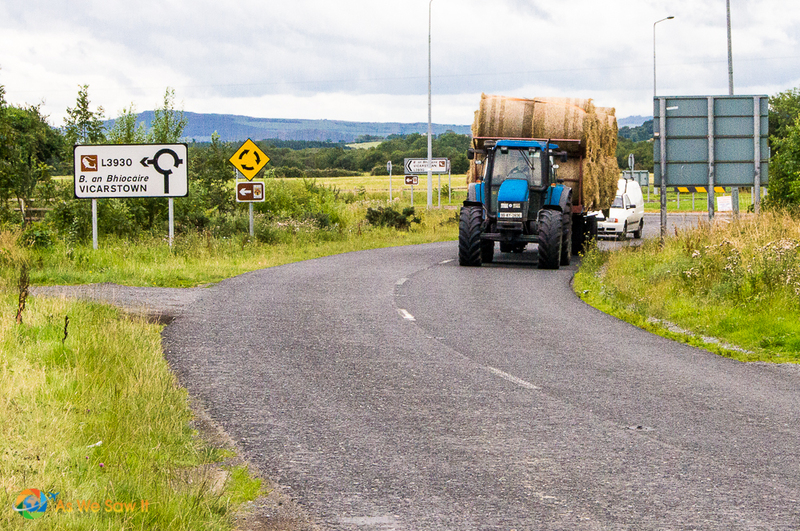 Cashel was the first stop on our Ireland road trip, and it made a worthy trip off the motorway even before we got to our destination. The scenery on the way down was so pretty that the persistent Irish drizzle barely fazed us. As we approached the town, I was relieved to find few signs advertising the Rock. At least we were heading in the right direction! Aside from the road signs and vehicles, it almost seemed as though the landscape hadn't changed for centuries. it should be no surprise that Cashel is best known for the massive rock of limestone that sits in the center of the town. 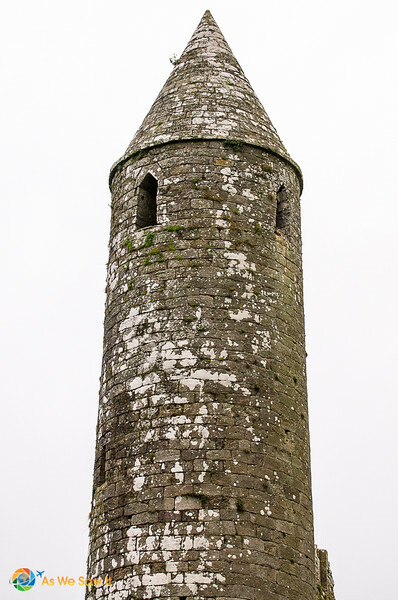 The Rock of Cashel (Carraig Phádraig), more formally named St. Patrick’s Rock, it is also known as Cashel of the Kings. The site is quite literally a walled area, built atop a huge rock. It was a brilliant defensive choice and an ideal spot for the castle they built there (hence the name). St. Patrick baptized Aenghus the King of Munster here in the 5th century. As you might expect, his parish exploded overnight when the peasants wisely followed their king's lead. The Rock of Cashel remained the royal seat of the kings of Munster (basically, all of southern Ireland) until the Norman Invasion in 1169. When you visit, you will see the stone cross marking the spot where this happened. 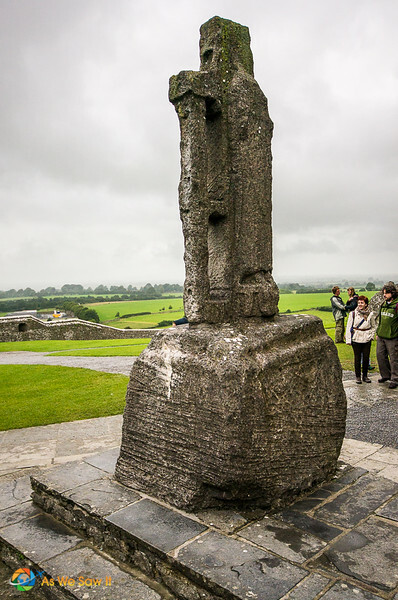 What is on the Rock of Cashel? Most of the buildings on the Rock date from the 12th and 13th centuries, and many are historically significant. The first buildling you will see is the Hall of the Vicars Choral, which dates from the 151th century. This recently restored building acts as the entrance to the Cashel complex. (The “vicars choral” were laymen who assisted in chanting the cathedral services.) 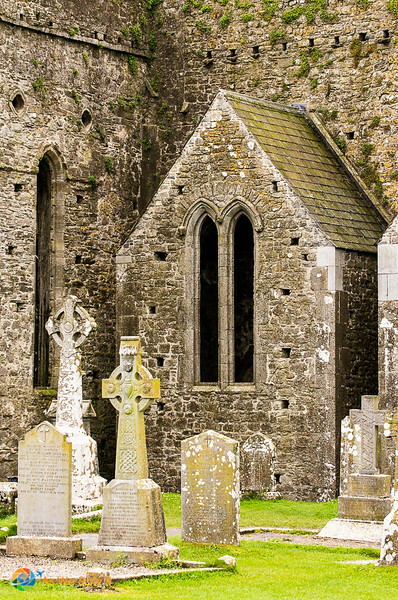 The Hall contains a small museum that displays artifacts excavated on the Rock of Cashel. The oldest and tallest building is the 90-foot-tall Round Tower, built around 1100. Most of it is original, and it still has 6 floors. Only the roof has been rebuilt (19th century). Our son Jimmy, who had served in Iraq, said it reminded him of a missile. So much for being impressed by history. Cormac's Chapel is almost as old as the Round Tower. 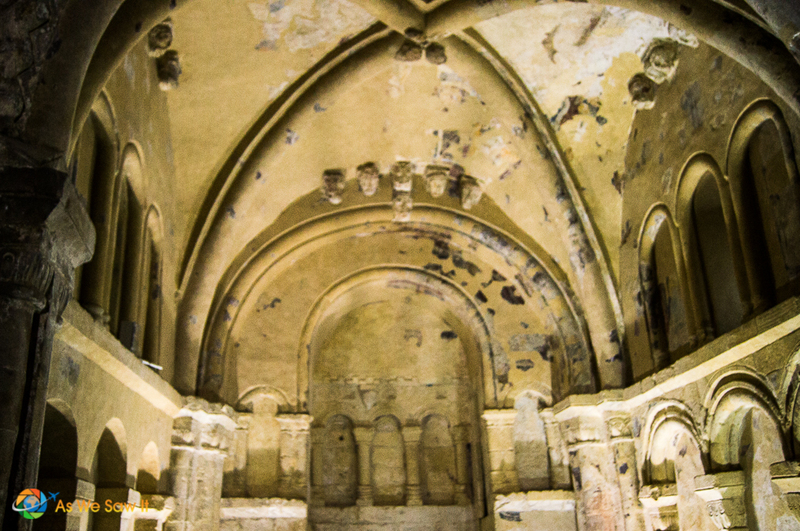 The Romanesque chapel was consecrated in 1134, probably for Benedictine monks. It was undergoing massive restoration work while we were there, so we could only enter with a guide and only for a precious few minutes. The entire chapel is surrounded by scaffolding and a metal roof in an effort to shelter the building from the persistent Irish rain. Nearly 1000 years of water have begun to infiltrate the interior and destroy the colorful frescoes inside. The frescoes are the oldest Romanesque wall paintings in Ireland, but they were covered with whitewash at the Reformation (16th century) and remained hidden until the 1980s. The Gothic cathedral was built in the mid-1200s and was used for worship until the mid-1700s. At about the same time, the archbishop decided to remove part of it so he could build his own residence. It's a shame that historical preservation wasn't important back then because it looks like it was beautiful. The grounds around the buildings are home to an extensive graveyard, which includes a number of beautiful high crosses and tombstones. We happened to be visiting while a funeral was taking place, so out of consideration we didn't wander about too much. According to our guide, the cemetery is out of room. Now, you can only be buried there if you are a direct relative (child, parent, brother or sister) of someone who is already buried there. Hence, this would be the next-to-last-ever funeral, because the one remaining person was really, really old, and all of her children had already died. As I already mentioned, the entire plateau atop the rock is surrounded by a wall. 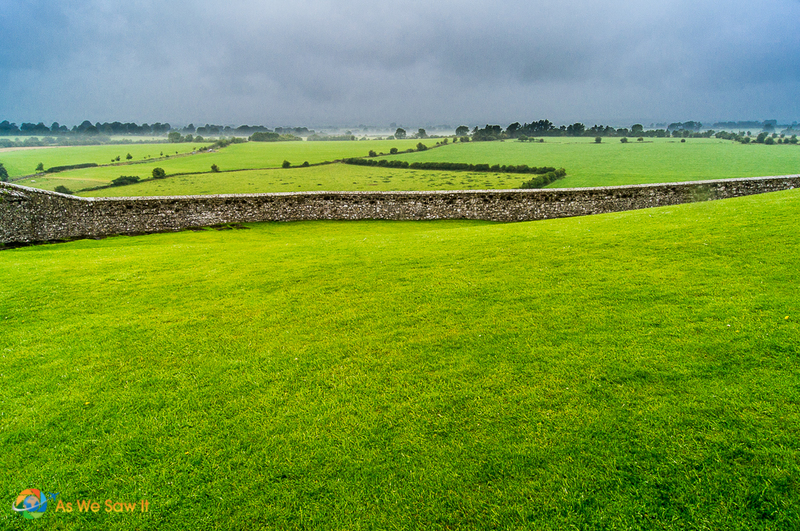 We stood out in the drizzle, enjoying a spectacular view of the Plain of Tipperary. The verdant farming area is broken up by low, grey stone walls everywhere. They still mark land boundaries. You can't help but wonder how long they have been standing. As we surveyed the surrounding countryside, we were intrigued by a long-abandoned complex down in the Rock's shadow. 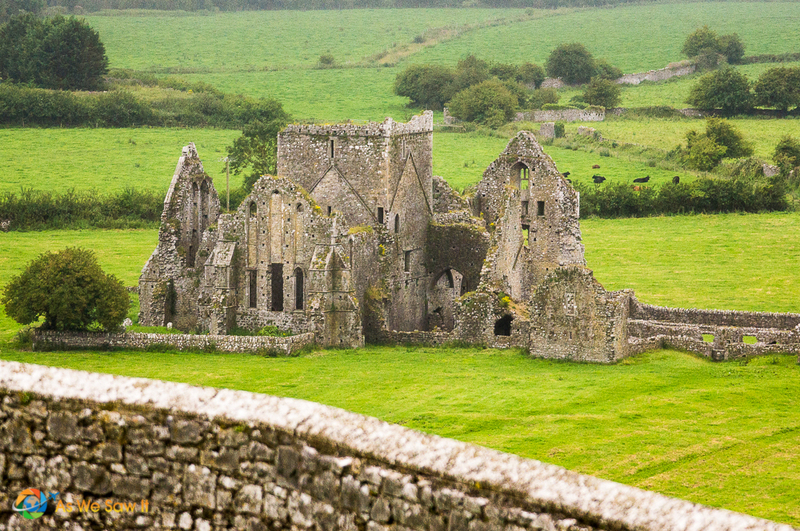 The desolate ruins are known as Hore Abbey. I am not sure when it was built, but it was a Benedictine community until the Cistercians took it over in 1272. 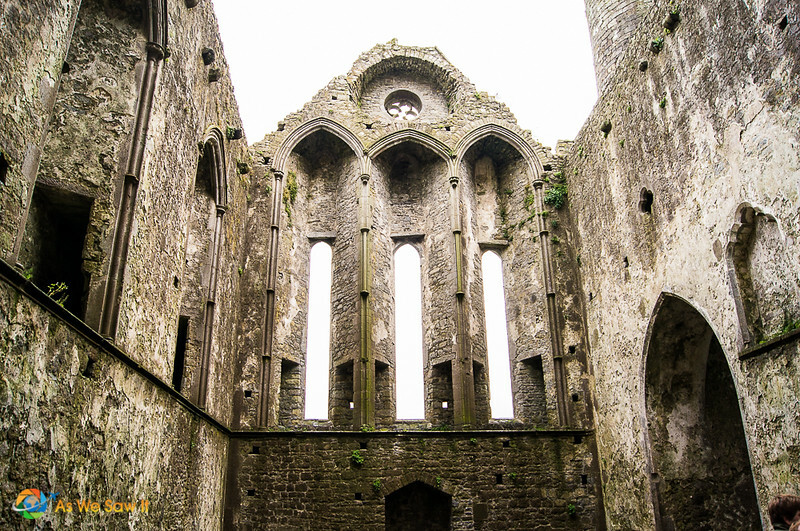 It was the last Cistercian monastery in Ireland. How could we leave town without taking a closer look? The Brú Ború Centre at the foot of the Rock hosts regular traditional Irish music sessions and has audio-visual presentations of Cashel’s history. Cashel’s broad Main Street has plenty of appeal. Click here for a walking tour of the historic town. The Heritage centre and Tourist Information office, located in the former Market House on Main Street, has a model of Cashel in the 1640's. Hore Abbey, St John’s Cathedral and the Dominican Abbey are other markers of Cashel’s ecclesiastical history which are worth a visit. The official Cashel tourism website can be found here. Plan to spend 1 – 1.5 hours, which will allow time for the free 45-minute guided tour, walking around the grounds, an audio-visual show and exhibitions. There is access for visitors with disabilities, by prior arrangement. The Rock of Cashel is 500m from the centre of Cashel town off the Dublin Road. This website shows how to get there by plane, train, bus, ferry and car. Or, if you prefer a simpler way to see the Rock of Cashel, Get Your Guide offers a Dublin day trip to the Blarney Stone and Rock of Cashel. We recommend Booking.com if you plan to stay overnight. This was a brief stop on our road trip (we stayed in Kinsale), but O'Brien's Cashel Lodge comes highly recommended. 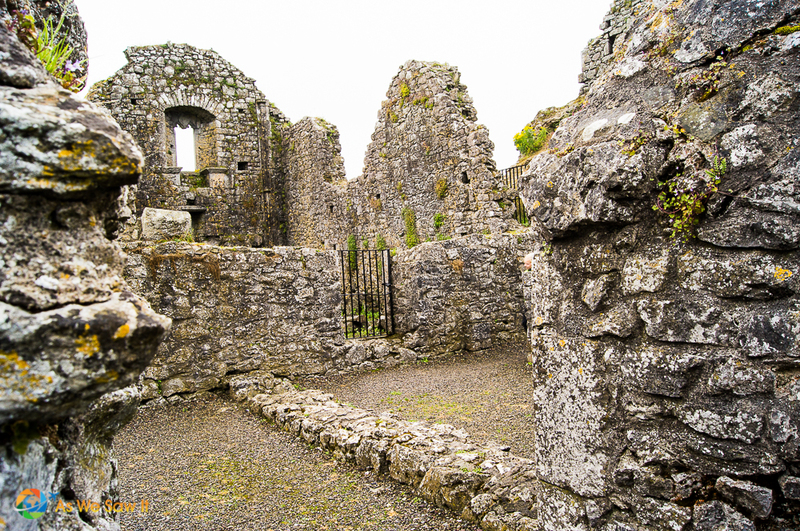 For more sightseeing, enjoy more photos on our Cashel Castle photo gallery. See Cashel from the air on Google Maps here. Zoom, scroll around and explore! Is Blarney Castle Worth the Hype, or a Bit o' Blarney Itself? You are more than welcome, Eileen. We adore Ireland. It’s one of our favorite countries. Rock of Cashel is such a beautiful site. I have seen it in many Bollywood movies. Looks so romantic and fascinating. Would love to visit it someday. I enjoy Bollywood but have never seen one that featured Ireland. We’ll have to keep an eye out for some. That would be fun!